Wink Relay’s objective is to create a device that is as simple as a light switch but delivers a ‘mesh of controls’ for your smart home. It connects all compatible smart home products (including your air conditioning, TV, lights, security sensors and more), to a small mounted screen on your wall for convenient automation. The innovation is being called as one of the first for the new age device dependent smart homes. The Wink Relay Touchscreen Controller looks like an elegant high-tech device that you can place anywhere in your home. Powered by a very powerful and intuitive app, you get a one-stop screen to monitor all your smart gadgets remotely. 7 Is Wink Relay Right for Me? It’s a great alternative to pulling out your smartphone whenever you are leaving or entering your home. It takes the place of your light switch to become a command center. With the newest updates, you can even use the controller to call a cab (UBER), check your calories (Fitbit) and take advantage of IFTTT recipes. So, rather than handling each smart gadget individually, the Wink Relay makes it easier to control everything centrally! Wink also integrates an onboard mic and speaker that you can connect to multiple relays across your home and turn your place into an intercom system. It’s both helpful and futuristic. Be it calling you kid downstairs or ensuring that the smart doors have locked themselves before you go to sleep, there’s a host of functionalities that Wink Relay supports. 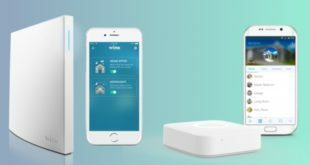 With more apps being integrated into Wink relay over time, it could soon mature to become a worthwhile investment for a connected home. When the Wink Relay was launched in 2014, the retail price was about $300, making it a bit prohibitive. Today, however, it is bundled with a comfortable $149.00 package with genuinely helpful features. Requirement: Wi-Fi Network and Router (2.4 GHz) capable of broadcasting at 20 MHz bandwidth. For the light switch, you need to have either of single or double load gang boxes that don’t have neutral wires attached to AC outlets. Dimensions: The device measures 6.6”x5.9”x1.2”. While the right side of the device has two buttons for control, the left part is the touch screen that looks similar to a smartphone. Sensors: Fitted with proximity sensors that react to your approaching. The sensors also act as humidity and temperature control for your smart home. Speaker and Mic: For notifications and turning the relays into an intercom. Connectivity: Supported via Wi-Fi, ZigBee, and Bluetooth. Now that we have a basic idea of what the Wink relay is about and what it can be put to, let’s take a practical approach to Wink Relay review. The Wink Relay aims to become a one-stop control panel that replaces your standard light switch. 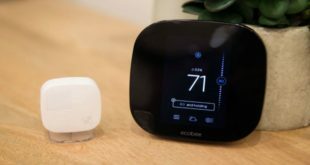 Using a wide array of sensors, the device works automatically and/or in conjunction with the Wink Hub, adding compatibility with newer protocols. This gadget features an attractive design, with sleek lines and a sleek finish – just the thing you can add to a modern tech-savvy home. The construction is fairly immaculate, especially the glossy plastic. Another good thing about the design is the way it integrates the proximity sensors. The gadget will give you a frequent reminder of the real-time temperature and time, among other things. Lastly, the buttons on the right-hand side of the panel are programmable but as simple as turning a light switch on and off. Once you go through the elimination, most homes will only be left with very few spots! Daily use: Apart from the real-time feedback on temperature, humidity and time, the touchscreen control panel has all your devices only a swipe away. On tapping, the weather will expand to a more detailed view and the like. There are advanced settings on the gear icon and you would want to fiddle with it. The touchscreen allows for the control of lights, locks and other shortcuts just like a smartphone app but if you want to add a new device to the network, you will have to pick up your phone. The response time with each gadget is about 2-3 seconds. 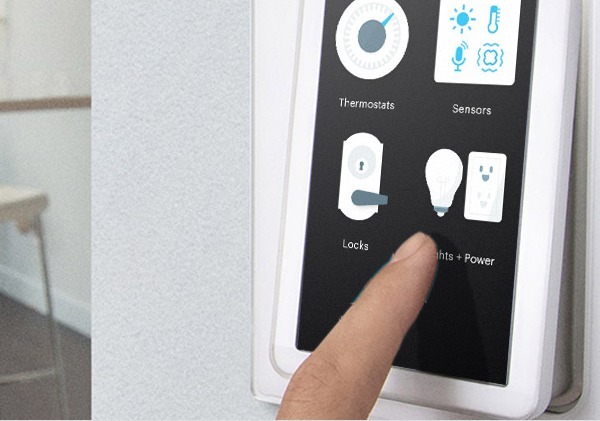 Further, when you connect the Wink Relay’s physical switches to hard-wired lights, the Wink App will show them as ‘newly available lights’ and this can be an opportunity to explore. Instead of adding a Wink Shortcut, you can assign a range of functions to these switches. Lastly, it needs to be pointed out that the screen of the Wink Relay boasts of a resolution that is similar to an iPad screen. It’s bright with more than acceptable viewing angles. For the best experience (responsiveness), it’s best to have the latest Android version deployed on your devices. For those who are using the intercom functionality, it adds cool benefits that can make households more connected. The biggest difficulty you would face with the Wink Relay Touchscreen Controller is the installation. If you leave that out, the device is pretty cool and there isn’t much that you can say against it. The prices too have dropped since the launch, two years ago, making it a good investment for those looking for a smart home controller. You might not have a full range of control as you would have got using the original app. Homes with DropCam Security Camera would have provided a real-time feed with the original app. With the Relay, it’s one image every 15 seconds. Quite a loophole, if security is a concern. Difficult installation, as already discussed. No way to customize the items on display in the relay. You cannot set a limited control over some of your connected apps, in case you want your guest to use the Relay. You will always need the Wink Hub for smooth operation. It’s the only way you can connect to Z-Wave compatible devices. The mic and speaker have limited use. Now that we’re done with Wink Relay review, let’s see what it takes to install the controller. As already hinted, you will need a professional to do the installation. 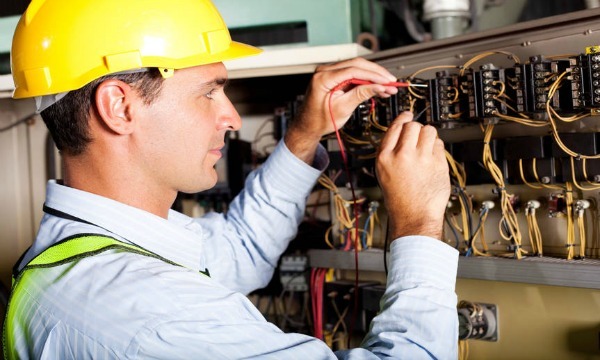 The process involves a lot of technicalities – disconnecting lines, loads, neutral wires and reconnecting them with the Relay. You will have to do a bit of cutting and stripping of wires, making it a specialist’s job in most cases. The moment you complete the wiring, the Relay starts booting up and shows you a list of all available Wi-Fi networks. Choose the one you can connect with, enter the password and tap “Done”, this completes the process of connecting the Relay to your WiFi. The next steps involve putting in your Wink credentials. Just log in with your registered username and password and the device will update the firmware if needed. The next step is downloading the Wink mobile app onto your smartphone (if you haven’t already done so) and connecting to the available Wink-compatible devices. For Z-Wave devices, you will need the Wink Hub to be able to connect. You cannot add devices directly from the Relay. The wall mount screen only gives you control over the devices that are already connected. 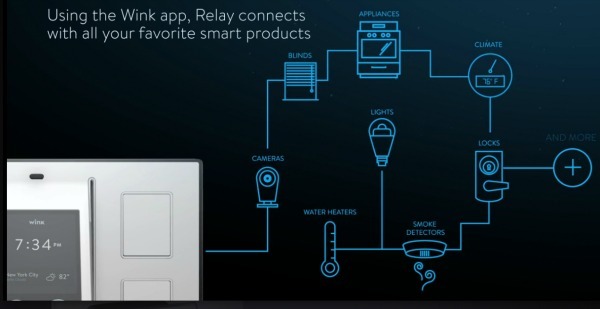 That’s pretty much all about installing the Wink Relay in your home for the first time. You can easily expand the usage of the very useful Wink Relay controller. You just need to add the ever efficient Samsung SmartThings to it. And soon you will enjoy a power packed performance from these two expert gadgets. Just take care of few things and you will face no trouble in the process. And your new mix-and-match system will start working in no time. There will be times when you might not get it right on the first go. Then all you need to do is press the factory reset button. Read on to know how. It is always better to start this process with a factory reset. This will make sure that all the changes being made are not being added to a previously customized setting. Look for the reset button. You will most probably find it behind the clear plastic. It will be located in the middle portion of the bottom of the screen. You need to press the top button and the reset button simultaneously. This will help in wiping any trace of recent updates and residual data from the system. You will get the clean slate factory setting. And you will also be able to attain the factory image setting. All this will make sure that your new setting is totally in accordance with your home. The probability of getting your system fried by any lurking viruses also diminish tremendously by this setting. It is always advisable to start with this step. The first step should be to connect directly to the home Wi-Fi. You can do it easily by pressing the proximity sensor and the Home Relay button at the same time. You need to keep them in this state for about 30 seconds. Afterward, release them and wait for the screen to go through a few flickers. Soon you will find yourself redirected to the Standard Android Home screen. When you finally reach here, you need to make just two main setting changes. Firstly, follow the path Settings->Security->Unknown Sources. Put a check mark when you reach the end. Then follow another path of Settings->About. Upon reaching, click the ‘Build Number’ button a few times. After this, you must enable the ‘Developer Option’. Make way to the Settings->Developer Options to backup all your important data here. Lastly, unchecking then rechecking ‘USB Debugging’. There are a number of ways in which you can root the system. The two most preferred ways are the Kingroot and the SuperSU. You can pick either of the settings that make you more comfortable with the usage. Also, it is quite easy to make the transition from either of them the other. You will face no problem in making the change if you change your mind later on. Few of the people might get the “SU binary occupied” error while making the transition to the SuperSU root. Your best bet will be to use the MRW scripted method. The main problem is that the CHMOD will not function properly when saves under the /sdcard/mrw. So you just need to copy the mrw folder directly to the /data/mrw. Follow this up by copying the CHMOD 777 root.sh file with ./root.sh. Thus, all your issues will get resolved. By the end, you will like to keep few key points in mind. This will help you a lot from coming back to the integration troubles time and again. You would have absolutely no problem if you choose to go with the IFTTT. Start with installing the device handler. You can either buy one or assemble one by yourself. Now, you can also create a customized device handler way more suitable to the regular usage. Wink Relay functions with the toggle switches and not the stateful on/off switches. You can replace the latter with the former in your customized device handler for better performance. Check the working of this device handler by adding a new device to the handler. Make suitable provisions to give proper access to the replaced switched to the ST IFTTT Smart App. Add two shortcuts to the Wink relay. These shortcuts will help you with quick control. You will find the Home Assistant interface exceptionally useful. But, there is also a chance that you find its brightness setting a bit too sharp at night. You can solve this problem by using the color reversal feature of the Mozilla Firefox. You will need an add-on and you have the choice of Night Reader for Firefox or Dark Background and Light Text. Just make these few adjustments and you will have no trouble using the Home Assistant to your advantage. You can pin your page using the sandwich tab in the top right corner. Add your page to home screen for easy access during the operation. You can create customized for individual pages and pin it all over the home screen. This way you will have individual pages which can be put to immediate use when required. It is extremely easy to organize and access them during the process. The purpose of the device handler is not just limited to minimizing your workload. But, it can also be used to screen the faulty call routines that may have been initiated by mistake. This problem is quite common in case of the stateless switches, also known as the toggle switches. You will find this feature exceptionally useful in case of the momentary/toggle/stateless switches. The device handler lets you set the number of seconds that you would want as a gap between subsequent calls. This way you will be able to get rid of the duplicate calls that are generated just as the system fault. This will help you a ton in avoiding the innumerable fake calls that get into the system without any intentional initiation. The default gap is 10 seconds. You can adjust it to suit it your requirements quite easily. Since its launch, the Wink Relay has mostly been the same. However, a significant update released back in June 2016 greatly increased the opportunities for the device. With that in place, the device doesn’t just work for home automation but carries the benefits outdoors too. Now, Wink Relay Touchscreen Controller allows you to monitor your Fitbit progress and also call for an UBER ride. For those who have integrated more than one relay, the microphones and speakers turn into an interesting intercom system. Further, the Relay now supports IFTTT (If This Then That). Thanks to IFTTT, now your kid can leave a message after he has reached home from school and you will be notified on your smartphone. The UBER integration is possibly the most significant update since the original app came out. When you open the UBER widget for the first time, it will save your location and credit card details. A cab will be a one-tap solution thereafter. You certainly would be notified about surge pricing, in case that’s applicable. The Wink Hub 2 also gets several beneficial updates. The most notable one is the complete range of Lutron Caseta Wireless Switches and dimmers. They have also begun the support for PJ2-2B remotes. This allows for a wider range of lighting from your Wink App! Let’s now move on and take a look at some of the best alternatives for Wink Relay that are available in the market today. 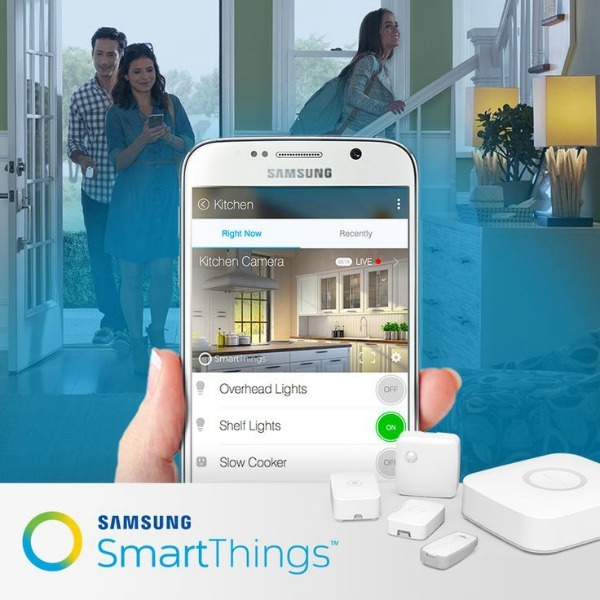 At $99, Samsung SmartThings Smart Home Hub connects to all your ZigBee and Z-Wave enabled Smart devices to bring the control into the single touchscreen. The goal of the gadget is to eliminate the switching between several apps or plug in many single-protocol hubs onto your router. The Samsung Hub connects an impressive number of devices, either directly or indirectly, thanks to its hyperactive developer community and IFTTT channel. Interesting integrations include a Bluetooth Radio, Belkin WeMo products, Amazon Echo and more. Consequently, you have sensors like a motion sensor, arrival sensor, door/window sensor, water leak sensor and more. This means an alarm goes off if it detects any activity by your window. These can be useful security features and not just a way of making your home smarter. The gadget even got a battery backup that would work when you lose power or WiFi. Samsung SmartThings lets you customize the app fully and also offers an interesting interaction with the user. Several more updates are lined up for this smart hub, but it does make a mark for the price it comes in. Quite evidently, it emerges as one of the best alternatives for Wink Relay Touchscreen Controller. 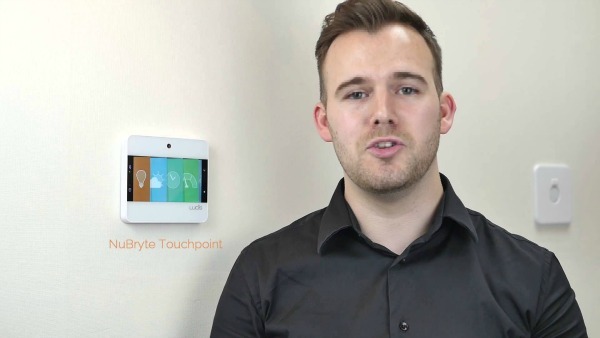 Another wall mounted smart home console, the NuBryte TouchPoint aims to make your home more efficient and attractive while allowing you peace of mind. It’s just not about feeling safer and more comfortable but also about becoming more organized. The all in one console integrates video camera, motion sensors, temperature sensors, proximity sensors, humidity sensors, siren, electric current detector and a pair of mic/speakers. Whether it is calling your kids downstairs when the lunch is ready or to get notified about your meetings and appointments for the day, this device can be a perfect smart home assistant. The device connects via your home WiFi to even integrate lights, fans, and other smart gadgets to give you complete control over your home. The focus of NuBryte TouchPoint is, however, intrusion detection through motion detector sensors and strategic camera monitoring. It’s well-designed, easy to setup and costs around $259 across the United States. This is one device you absolutely need if you have been really worried about home security. 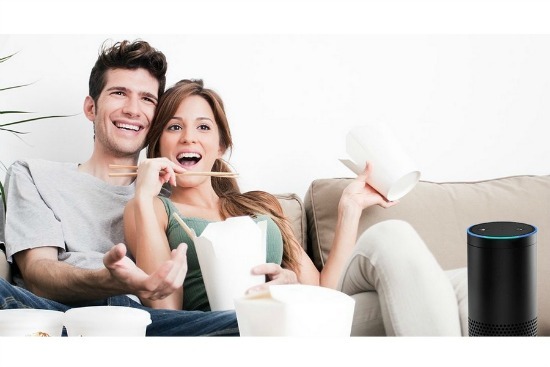 The additional benefits work out to make your home much more exciting. However, it is only supported through an iOS interface and yet to be launched for Android users. 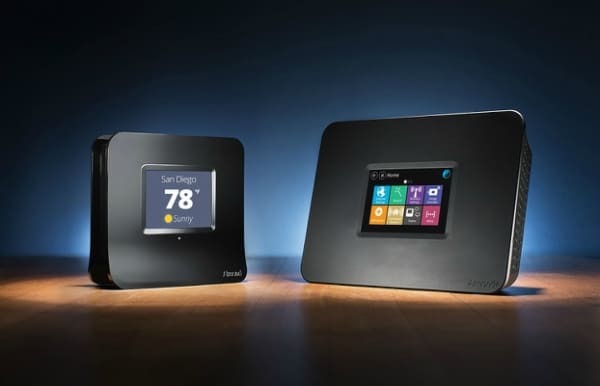 The Securifi Almond+ is one of the very few single band routers in the market. Almond’s novelty comes with its compact router that you can completely control using the touchscreen. The best thing about the Almond consequently is that you don’t need any laptop, smartphone or other devices to set it up and be able to manage the basic settings. The 2.8” touch screen is all you need. It’s perfect for all those users who are not tech-savvy but will be able to operate on intuitiveness. It looks like a digital alarm clock but converts itself into a powerful AC router. Integrated with Alexa, you will now be able to have voice control for your smart home gadgets, including lighting and fans! Other features include parental controls (wherein you can set WiFi curfews), receive notification when new devices join the network or block certain users from using your network. The only limitation is that the Securifi Almond will only work on a 2.4 GHz band and when used as an extender, can fairly limit the responsiveness. The Securifi Almond along with Home Automation Hub and a long-range Touchscreen Wireless Dual Band AC Gigabit WiFi Router cost about US$ 120.40. Below is a list of devices that are easily compatible with the Wink Relay. If you already own one then just keep reading to know which one you are missing out on and need to buy instantly! You might be out grocery shopping. But you are running low on cash and your cart is full of groceries that you really want. At times like these just point your Amazon Dash Wand to the barcode and add it to your Amazon cart. You will most probably get a good deal getting it from Amazon with the speedy delivery. Its compatibility with the Amazon Alexa makes it all the more useful It is battery powered. And the voice-enabled service makes it extremely easy for you to interact with it when you are on the go. This device is a great way to take charge of your home without burning yourself out in the process. It can be triggered by the voice and motion too. So, you can use all its facilities even when you don’t have your smartphone handy. You can dim and control the light all over your home with it. Control a range of other smart home appliances with it. You can also make sure that your home is safe and sound by doing a quick status check on its home screen. If you wanted a quality smart appliance in under the $15 price range then you get that with the Cree Connected LED Bulb. They are best as a connected lighting solution for your home, office or personal business. They are known to be compatible with a number of smart online platforms. This means that they will fit just right in with your smart home network. You can easily control them and would be able to use their high-intensity bright light for many years. Smart security cameras are becoming a necessity nowadays. And you will be able to use them to your benefit with this device. It already has a remarkable streak of only quality products until now. Now, you get to experience a security camera even more suitable for your daily surveillance needs. You will really admire its zoom feature that lets you view everything in great detail every single day. The live feed features are also available totally free of cost. Next comes the two-way talk feature that becomes highly useful when you are away. Go for this one without thinking twice if you are looking for an affordable dynamite performer. It is one of the most sought-after models at present. And you can own it at just $169. It is compatible with a number of platforms including the Amazon Alexa, Apple HomeKit, Samsung SmartThings, Wink, and IFTTT. The highly responsive accompanying touchscreen is most suitable for scheduling and playing the present routines. 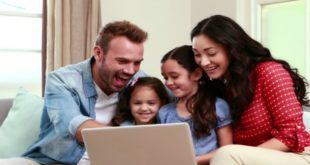 The Wi-Fi connectivity will really make the things easy for you. You can easily keep track of the home temperature via your smart app. 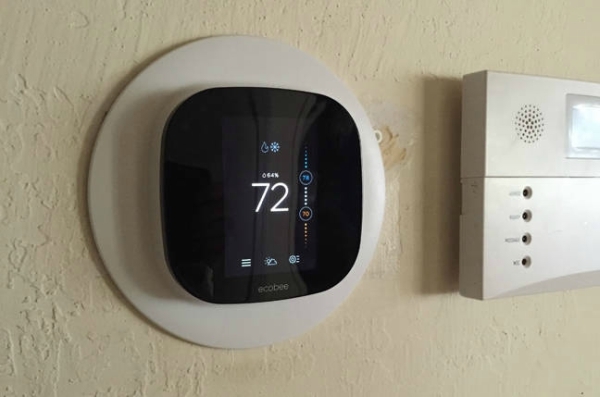 Click here to find out how it compares with the other Ecobee models. 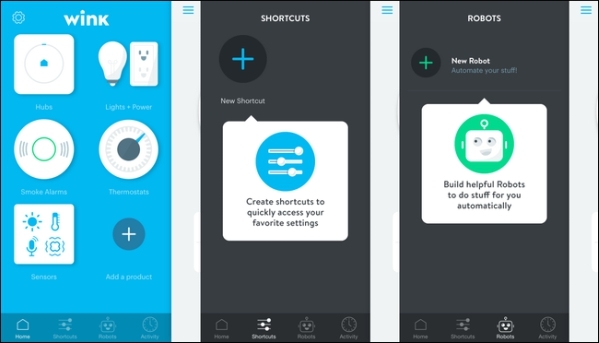 The next step in the smart home control is definitely the next step. You want to control the functioning of plugs all over your home. And that has finally been made possible with the help of the iHome iSP5 SmartPlug. You will find it of great help if you have been using the Apple platform majorly in your home by now. The Android users can also benefit equally from it. You can easily divide your entire home into zones. And then control them individually without creating any kind of confusion. They are quite affordable and highly compatible with the Apple HomeKit. 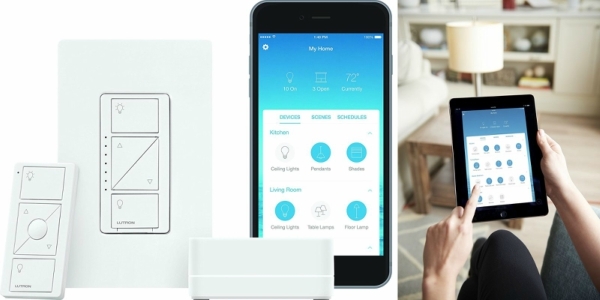 Find out a detailed comparison between TP Link and Wemo smart plugs here. Keys are hard to keep track of. So why not to get rid of them completely. The best way to do so is with the help of the Kwikset Obsidian Keywayless Smart Lock. They are sleek and updated with all the desirable current smart lock features. You can use their touchscreen panel to input the code quite easily. It has been designed in a way to hide the fingerprints upon consistent use. The Z-wave technology makes them high in demand today and for decades into the future. Leaky pipes are like the termite to a well-functioning home. And you never know when they might burst and flood your entire home. The best way to get rid of such a disaster is by getting the LeakSmart Complete Home Water Protection System today. It comes with a sensor, controlling valve and a centralized hub. The valve helps to resolve the problem within seconds. Thus, you will not have to go through any major flooding issue within your home. And the ease of installment and high responsiveness makes it all the more appealing! We often forget to turn off the light when we are away. Or the switch seems to be too far away when we have tucked away in our bed. Enjoy the utmost comfort and energy savings with the help of Lutron Caséta Wireless Lighting Starter Kit. It has been designed to work perfectly with the Android and Apple platforms. So you can easily control it with your smartphone app from anywhere. Dim or completely turn the lights on or off when you are at home or away. You are in great luck if you own a garage and just stumbled across this article. Today, the MyQ Garage is one of the most popular smart garage door openers in town. Then, you will find it quite easy to install and highly useful. You can easily control and manage it via its app. The reliability and large-scale compatibility with a number of platforms further make it the best choice for you. You can put the far-field sensor technology on this sensor to good use. It is one of the most advanced thermostats from the Nest range of thermostats. It works in an amazing manner with the Amazon Alexa. And its high-resolution display will make the entire programming process all the easier. Find out how Nest 3 compares with its contemporaries here. Your search for the perfect smoke/CO detector ends with the Nest Protect. You are going to like it with your connected smart home or even as a stand-alone appliance. Its sleek design makes it perfect for all kinds of locations. Also, discard the false alarms just with the help of a single hand wave. There are a number of things that will make this product an instant hit at your home. It has that affordable pricing that you would appreciate. The color changing feature is assured to make the kids and adults both joyful. Click here to find out how Philips Hue compares with Lifx. The festivities are all about bright lights extinguishing the darkness well. At 1,600 lumens, you can rest assured that you will be getting the brightest and most joyful lights in all the neighborhood. The extension ease will further make them easy to use and install at the intended location. Watering your garden at the right time and with the right amount is an impossible process. The weather, location or your water bill always seem to be on a mission to ruin your goal of owning a well-tended frontward. The best thing about this controller is its app. You will find its extremely user-friendly. It takes into account a lot of factors before making suitable suggestions according to your requirements. Find a detailed comparison of Rachio with its main competitors here. Who knew that doorbell can serve a myriad of purposes. 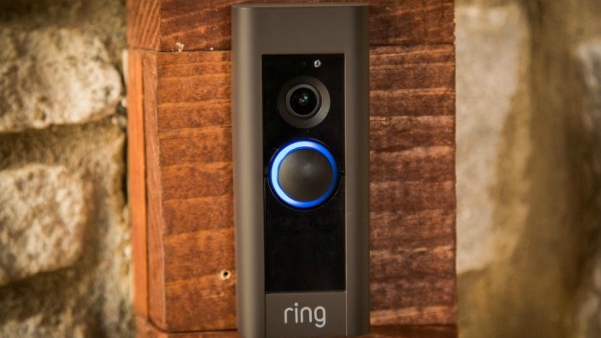 The 1080p HD video resolution that you get with the Ring Video Doorbell Pro surely shows you a few good ways in which you can maximize the use of your doorbell. The compact design makes it perfect for all kinds of homes. One of the best features of this doorbell is that you can charge it quite easily and quickly. You will never have to face the weak battery issue as long as you are using this bell. It is extremely easy to install and use too. It works in the most synchronized manner with the Amazon Alexa via the Amazon Echo Show. First of all. You will notice the slimmer down look of this model as compared to its successors. Then your attention will move towards its sturdy design and vivid display. It comes in a total of three shades at present. Upgrade it with nominal fees to suit your home platform. 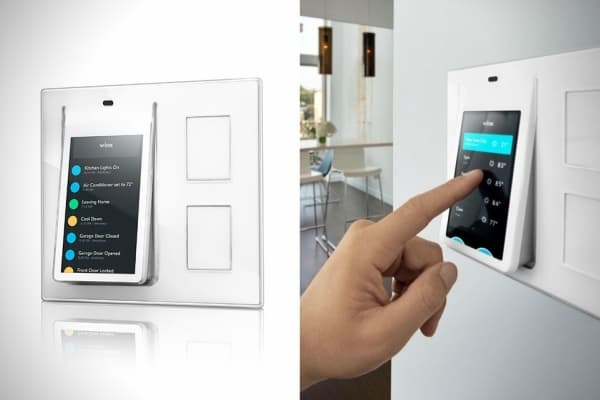 Being a touchscreen deadbolt, you will find the keyless operation to your liking at any given moment. When you are away for long durations then the robust look and feel of this product will help be assured of your home safety. This is a kit that works well with the light and temperature control requirements. You will be connecting and using it over the WeMo with no discernable problem. It is the best in its bracket, both in terms of pricing and design. Now you get the entire arrangement at a highly affordable price. You get both smart bulbs, suitable fixtures and proper wiring to install them at the desired place within your home. At its current price range, you will hardly be getting a more suitable option for your home. Is Wink Relay Right for Me? Just like the Wink Relay Touchscreen Controller, there have been several products that didn’t make much sense when they were first launched. Amazon Echo is probably the best example of this. However, both Echo and Alexa have now integrated voice control to make home automation more fun and engaging. You can also consider them as one of the best alternatives for Wink Relay. The Relay doesn’t yet seem to make much of a promise. Its features are few and average and the most important thing is that you can get better alternatives for the price. The Samsung SmartThings Smart Home Hub makes more sense in this case. 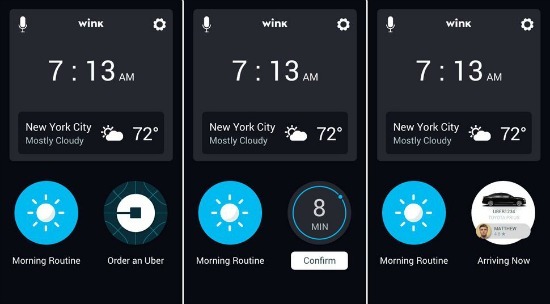 The only unique feature with Wink relay, as of now, is Uber integration, but again, you can always call a cab using your smartphone. While there are several home automation devices available in the market, Wink offers only a fraction of the features and at a much higher price. You simply won’t get enough return on your investment. We hope that this Wink Relay Review helps you make a smarter choice!